Sear salmon fillet in frying pan (couple of minutes for each side). 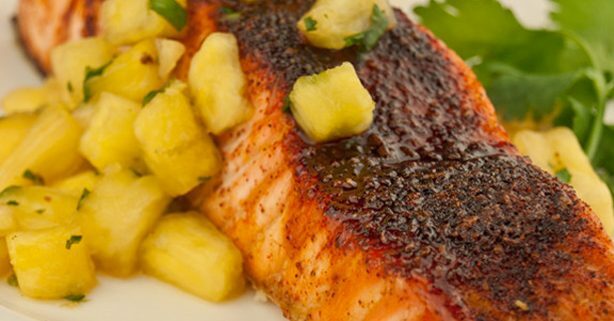 Remove salmon from pan and add a splash of water, sake, a little sugar and soy sauce. 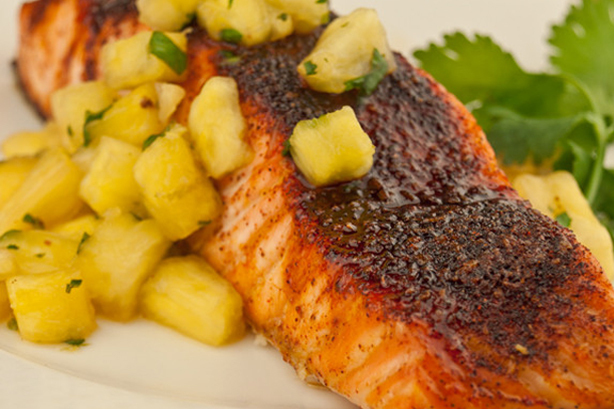 When mixture is thick return salmon to frying pan with pineapple chunks and turn until done.